Where did Christmas go?! After months of planning it feels like it was over in a flash, and now we’re two days in to 2016 and getting back to some sort of ‘normality.’ For the last couple of years I have done this post and it seems to have gone down well, so I thought I would do it again. 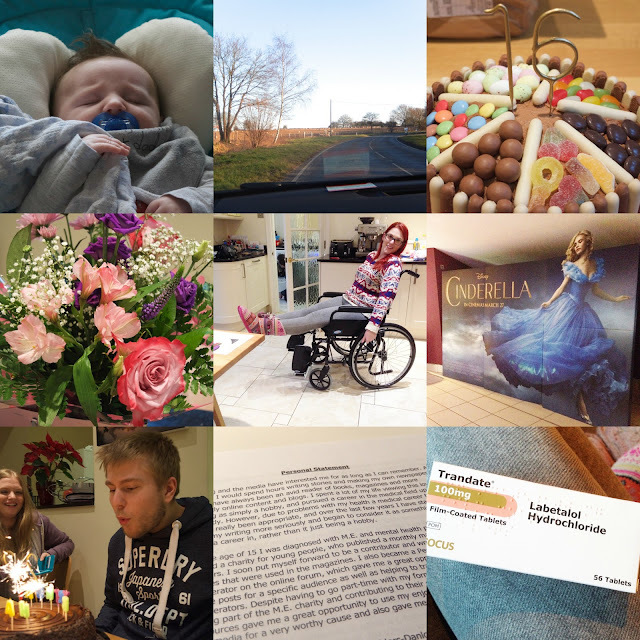 2015 wasn’t an easy year by any stretch of the imagination, but collecting these photos together has helped me to see that, among the difficult times, there were some good times as well. 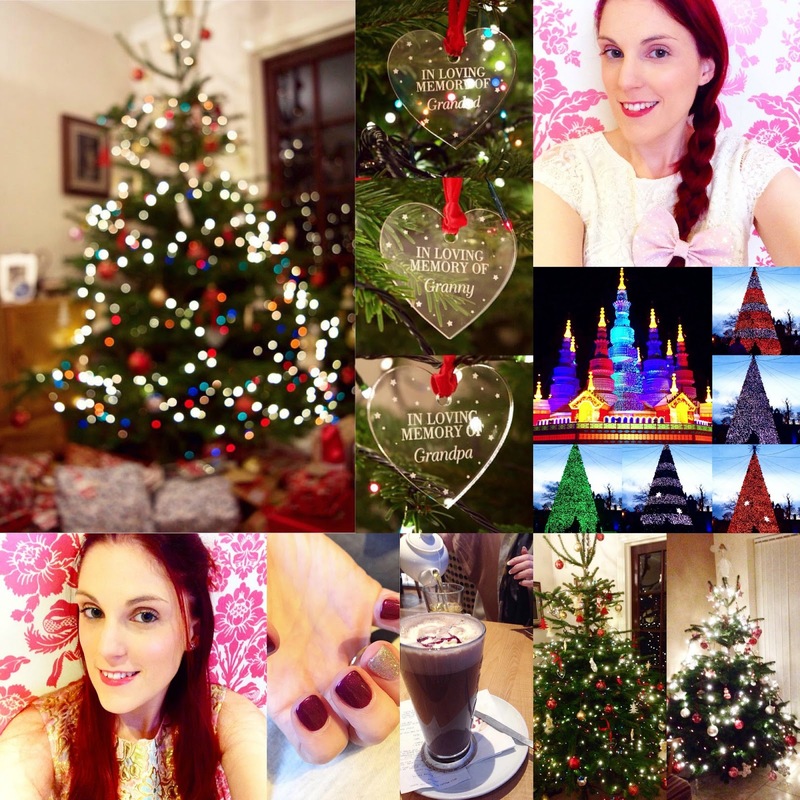 So, I hope you enjoy seeing a round up of my 2015 and here’s to a much better 2016! 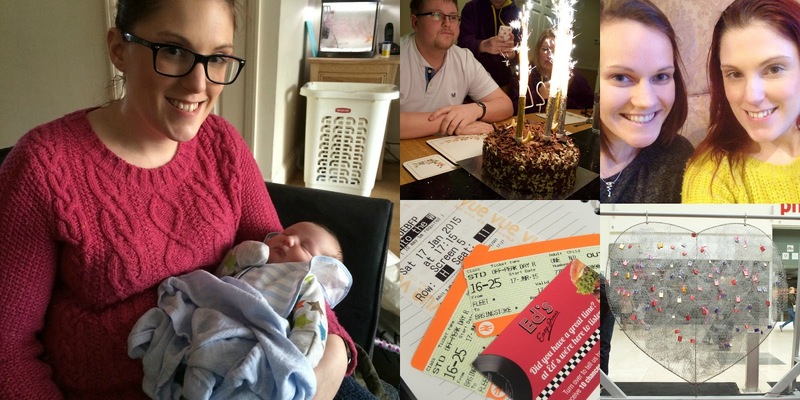 In January I met my new baby Godson, Jack - My brother Richard celebrated his 24th birthday – Sophie came to see me for an afternoon of arts, crafts and lots of chatting! – I went to the cinema with Lilli to see Into the Woods – I was invited to Festival Place to see their giant Valentine’s Heart padlock sculpture. 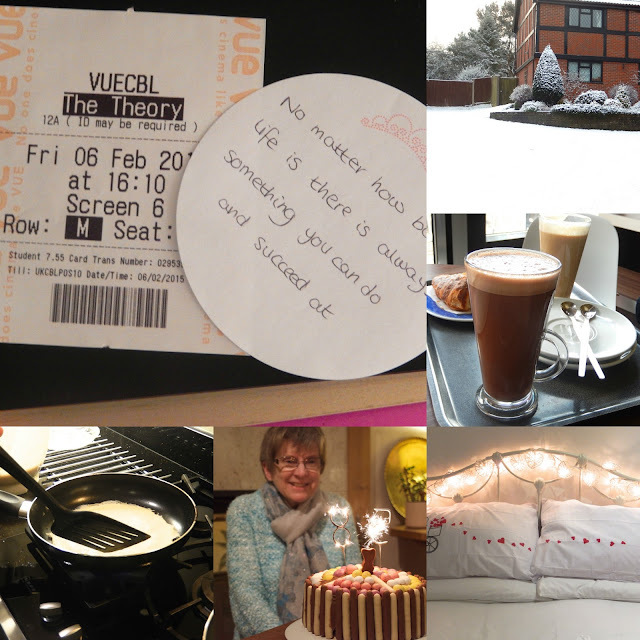 In March I had more cuddles with my Godson, Jack – My Dad took me for a nice drive in the countryside – My sister, Bekkah, celebrated her 16th birthday – I gave my Mum some beautiful flowers and a Pandora charm for Mother’s Day – I got my new wheelchair – I went to see a preview of the new Cinderella film – My brother, David, celebrated his 22nd birthday – I withdrew my application to study Occupational Therapy and reapplied to study Journalism – I started some medication for my POTS. 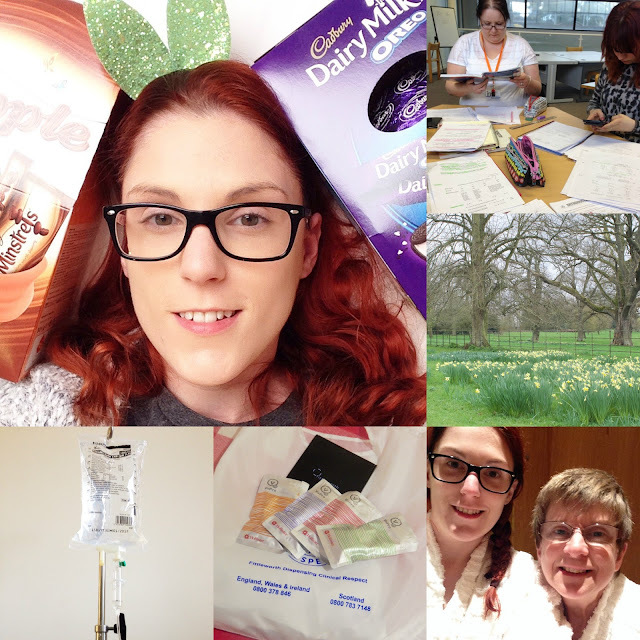 In April we celebrated Easter (and I wore my Crown and Glory bunny ears!) – I did lots of Chemistry work with my college friends – My Mum, Dad and I went to a National Trust property called The Vyne – My Mum and I had a relaxing day at Nirvana Spa – I had to learn how to self-catherise – I spent a night in hospital after suffering weeks of terrible sickness, but was soon put on strong anti-emetics. 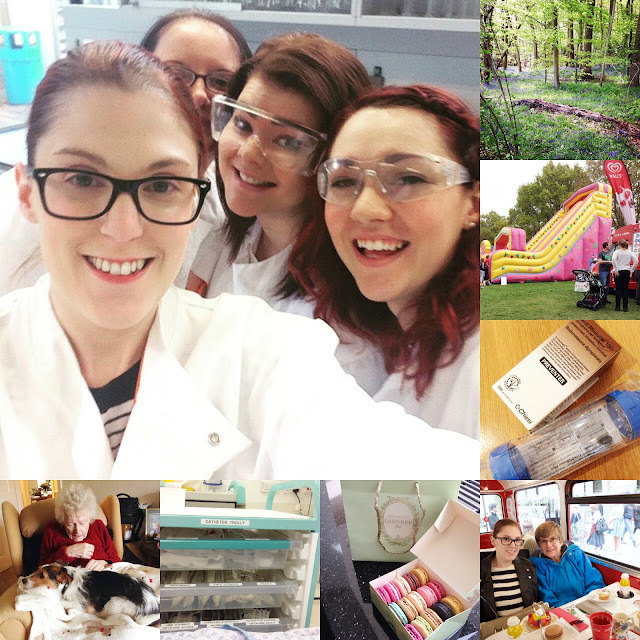 In May I enjoyed my last Chemistry class with my college friends – My Dad took me to see a local bluebell wood – We went to our local May Fayre – I started using an inhaler and was diagnosed with asthma – My Mum and I went up to London for afternoon tea on a London bus – I had a hospital appointment up in London with the professor I see, and treated myself to some Laudrée macarons – I had to have a permanent catheter fitted in A&E after self-catherisation stopped working – I found Freddie snuggled up on my Gran’s lap and my sister Rosiie celebrated her 21st birthday! 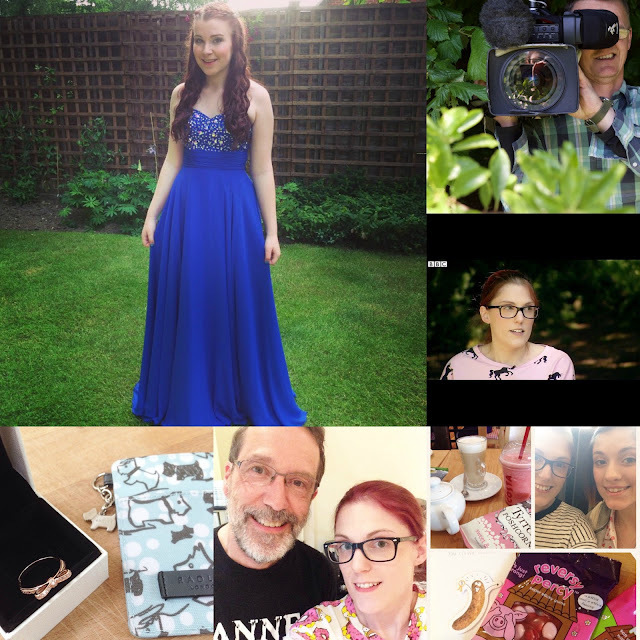 In June my little sister, Bekkah, had her Year 11 Prom – I was filmed by the BBC, and was then on various BBC News programmes, talking about mental health crisis care – My Mum bought me a beautiful Pandora ring to say ‘well done’ for finishing my Access Diploma at college – We celebrated Father’s Day with my Dad – My spoonie friend Hanna, and her boyfriend Sam, came to see me, and even brought me some Percy Pigs! 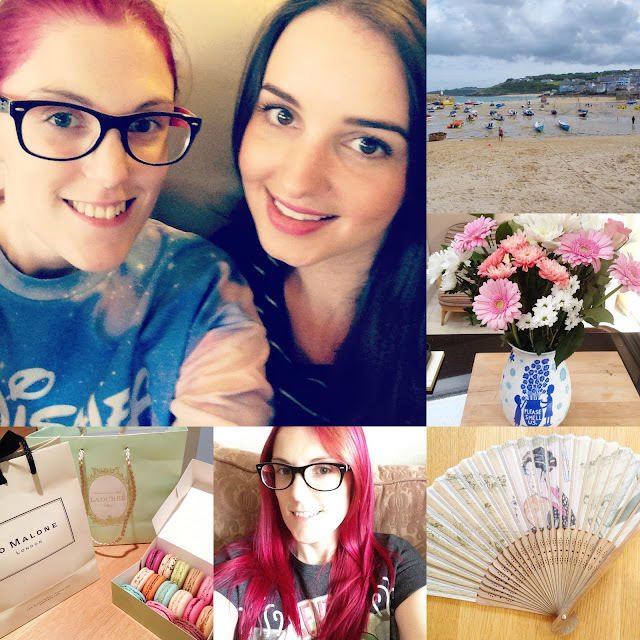 In July I had a fun day down in Southsea with my friends Kirsty and Lucy – I started a new health blog (which is a bit unloved at the moment, but I hope to work on it in 2016) – I had a Costa date with my friend Katrina, who is now back from Dubai for good! 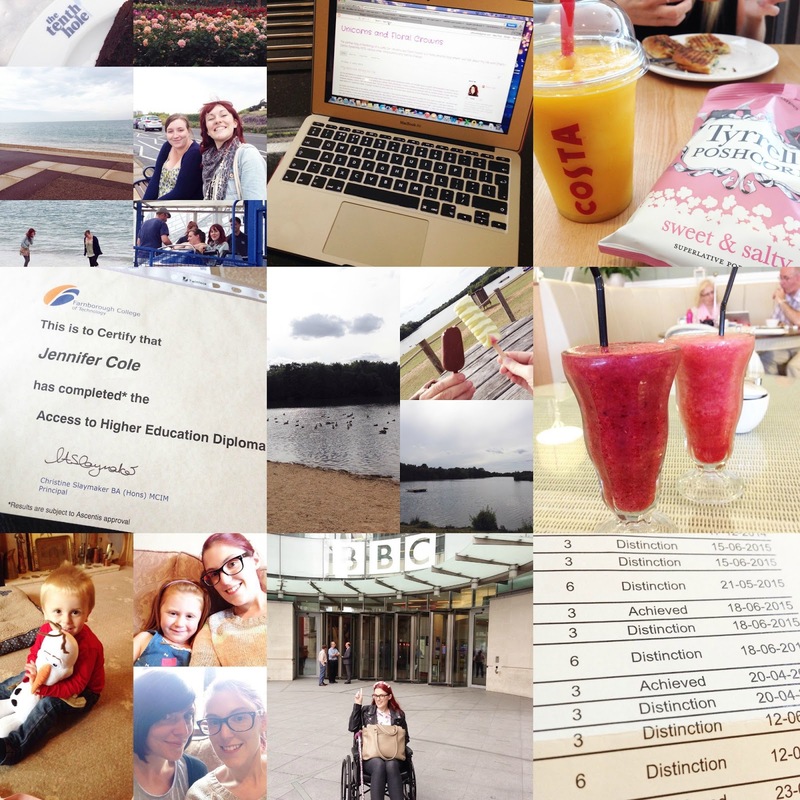 – I received a certificate for completing my Access to Higher Education Diploma – My Dad and I went to a local lake for an ice cream before he went to Japan for three weeks – I went to a local garden centre with my friend Lilli and we had some delicious smoothies – My friend Charlie came to see me and brought her gorgeous little ones, Izzi and Joe – I went to the BBC in London to appear live on the Victoria Derbyshire show, talking about eating disorders – I received my marks for my Access Diploma and got distinctions in every module I could apart from one! In August I had a coffee date with my friend Charlotte – I went to St Ives, Cornwall, with my friend Katrina – I went into hospital for an operation, but had only been waiting in the ward half an hour when I had a full-blown seizure, so couldn’t have the operation – My Dad came home from Japan and brought us some beautiful presents – I dyed my hair pink! – I had another London hospital appointment, so popped into Laudrée and Jo Malone. In September I had my first Pumpkin Spiced Latte from Starbucks – I went up to London for some gastroenterology tests – I started at University to do my journalism degree – I did some cake tastings in preparation for my birthday – I had an EEG to try and find some answers as to why I had a seizure. 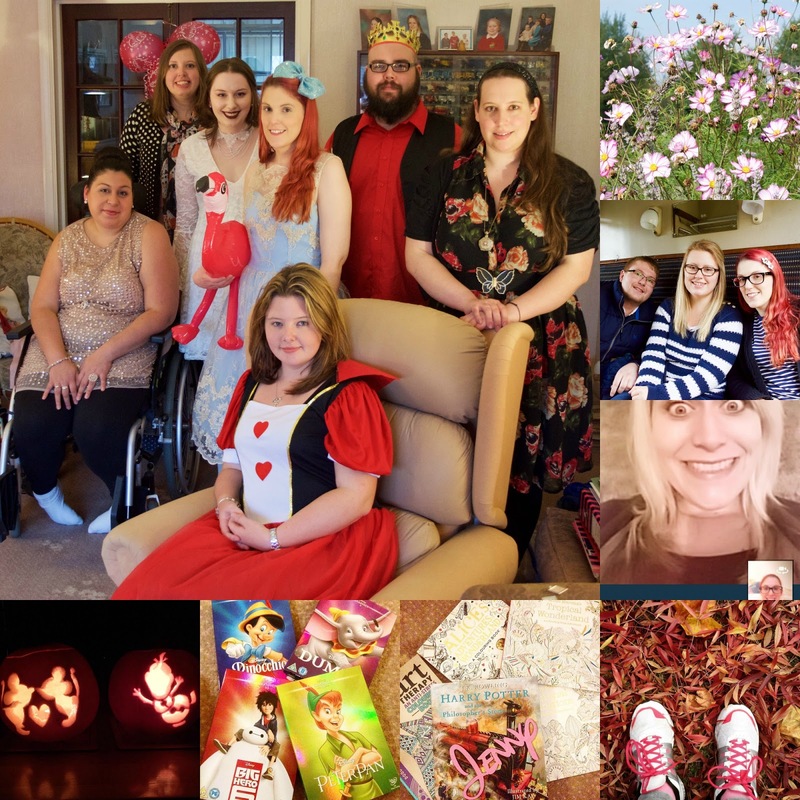 In October I had an Alice in Wonderland Mad Hatter’s Tea Party – I celebrated my 27th birthday by going to Longbarn in Winchester and having a ride on the Watercress Line with my family – I had a Skype chat with my lovely friend Leanne – The leaves started turning all sorts of pretty colours – I received some beautiful gifts for my birthday from my friends – I added to my Disney DVD collection (which is growing very nicely!) – I carved pumpkins for Halloween with my sister, Bekkah, and my friend Lilli. In November I organised and hosted a blogger meet-up for the South East Bloggers Circle at Pizza Express, Basingstoke – I completed my STEPPS course with the mental health service – I stocked up on lots of Fortisips from my doctor – I had my first Starbucks Red Cup – I went to see the local firework display. 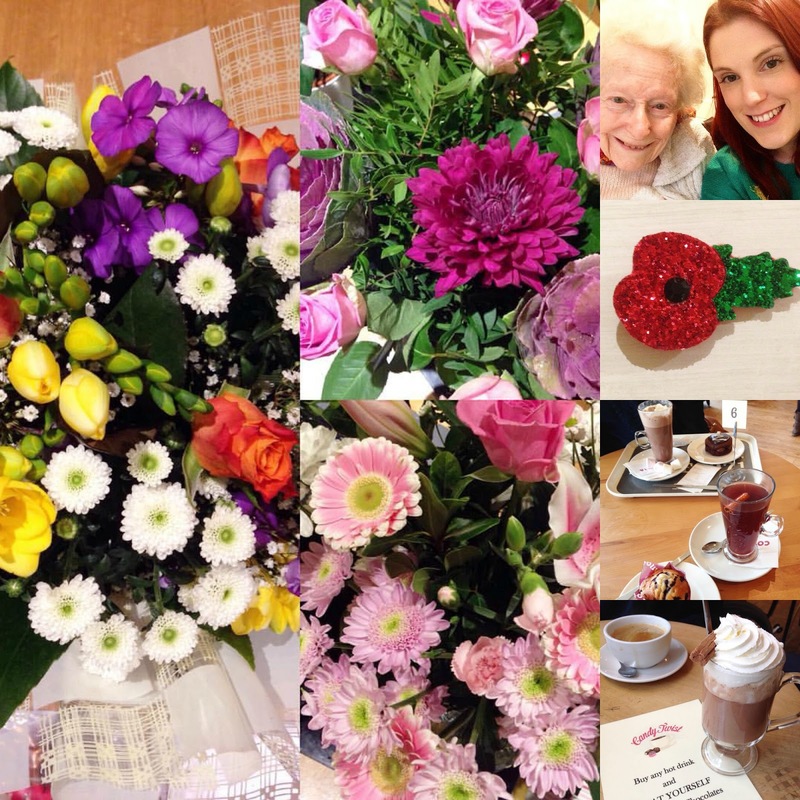 In November we very sadly also lost my dear Granny, and were overwhelmed by the flowers, cards and messages people sent us – I wore my poppy from Crown and Glory – I had a Costa date with Becky, who I met on a pain management course – My Dad took me for a hot chocolate after university. 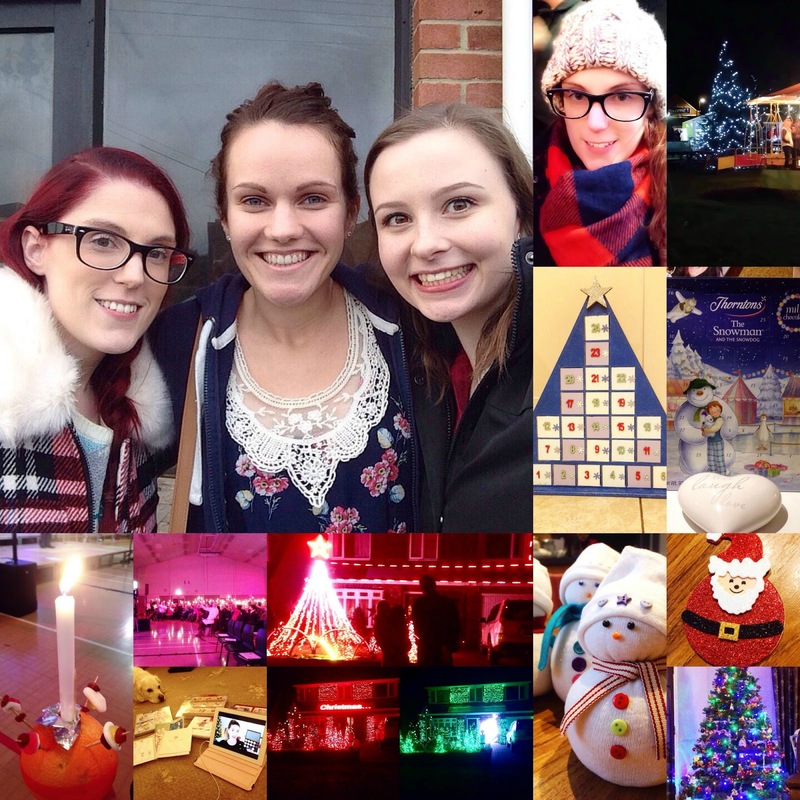 In December I had a lovely meet-up in Winchester with my friends Sophie and Jenny – I went to our local Christmas Market with my Mum – I got my advent calendar out that I made last year, and my Mum bought me a Snowman one too – I had a Christmassy day making sock snowmen with my friend Sarah – My friends Sam and Helen took me to see some awesome Christmas lights – I went to a Christingle service and then watched Zoella’s Christmas videos whilst writing Christmas cards. In December we also put up our real Christmas trees and I bought some special decorations to remember my Granny, Grandad and Grandpa – I dressed up all in white to be an angel for the Church Crib Services – My siblings and I went to Longleat to see the Festival of Lights – I had my nails done and went for a Christmas Costa with my friend Katrina – I wore my new dress and did my make-up for our family get-together. 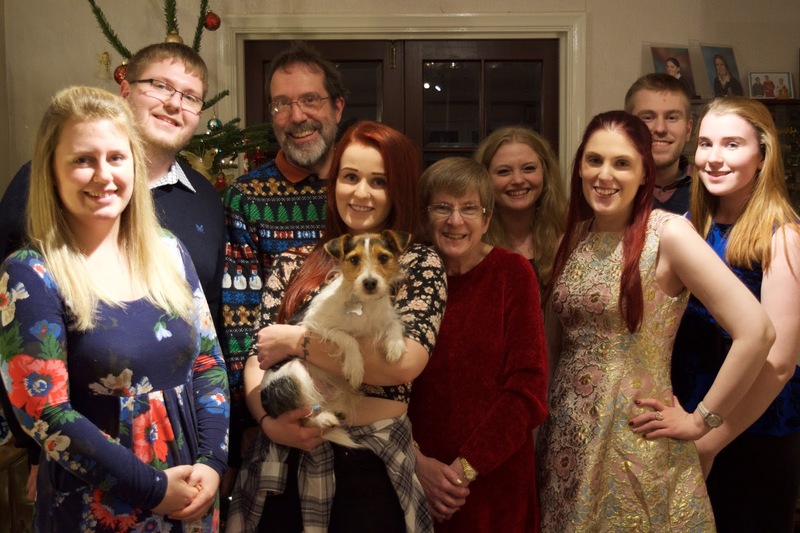 At our family get-together we took our traditional family photo – I love how it’s gradually expanding as the years go by! 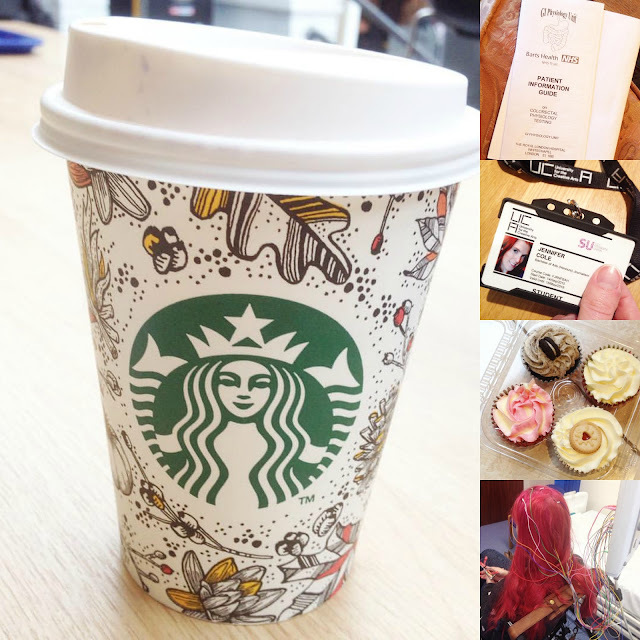 How has 2015 been for you? I want to wish you all a very Happy and Healthy 2016!